CGI Off Campus Drives in Bangalore, Chennai and Hyderabad On 3rd July 2014. 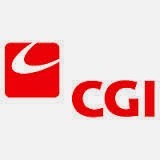 CGI Recruitment drive for freshers as Associate Software Engineer Position. Only 2014 passout BE, B.Tech, MCA freshers are eligible to attend this drive. The salary offered would be 2.75 lakhs per annum. The last date to apply online is 1st July 2014. You are expected carry your certificate of training on the event date. Failure to do so will disqualify you and you shall not be allowed to participate in the drive. I am willing to work in IT – Development, Maintenance, Support or Testing groups of CGI that are already in existence or may be established/constituted in the future as part of its business/operational diversification or growth. I am flexible to work in any kind of shift – day or night, as applicable to my process as assigned to me without any obligation or bindings, that I am being assigned/allocated. Certificate will be required in case of training provided by college using external vendor. Project/internship certificates will not be eligible for this.